Rockchip gains a significant advantage in being able to use x86, as well as the highest end fab process’s currently available. They also get to use Intel’s 3G modem IP, which should offer an improvement to their other products. There is no doubt this is a win for Rockchip. Intel gains an entry into the low to mid range market for tablets, and perhaps an easier route into the Chinese market. They also get a chance to fill up any extra fab capacity they may have. Its debatable how much they will gain from Rockchips engineerings, but certainly they will be able to learn something from them. Perhaps more importantly to the long term future of Intel, is the extension of the use of x86 in a market where it is virtually unknown. The possibility now exists that Intel may in the future acquire Rockchip, or a similar company such as Allwinner for the same reasons. The extension of x86 into the smartphone and tablet market is of paramount importance to Intel, especially in the face of continued declines in PC sales. No article about mobile news is complete without a reference to Apple. 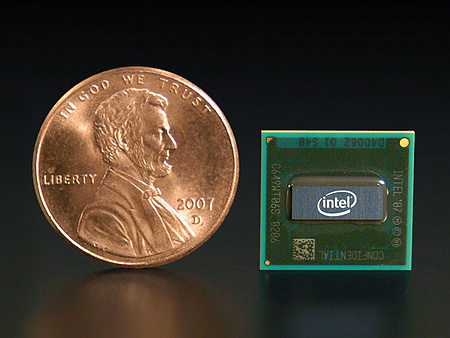 Back in September, after the release of the Apple A7 processor there was speculation that it would be made by Intel. We debated whether that was a wise idea or not. As it turned out the A7 was still fab’d at 28nm by Samsung, though the possibility of Apple using Intel still remained. While the current agreement with Rockchip does not specifically preclude Intel making chips for Apple, it does make it highly unlikely. This ironically gives Intel, with Rockchip, a competitive edge on Apple. Apple is forced to use fab’s that are not the highest tech, or the smallest process to make their chips. Rockchip, with access to Intel’s 14nm process, now has access to the the most sophisticated, lowest power, smallest silicon process in the world. Now what will they do with it?